Are you having a hard time dozing of? Sometimes the happenings, stress’ and anxieties of daily life can be so overwhelming and “sticky” that they won’t give you a break when you need it the most, at night right before sleep. It is important to learn to relax and shut down the impressions of the buzzing world around and within us in order to successfully cope with another coming day. Lack of sleep and sufficient rest makes you unable to function well, both physically and mentally. Now there are many ways of improving your sleep, like getting a good mattress or developing healthy habits during the day. 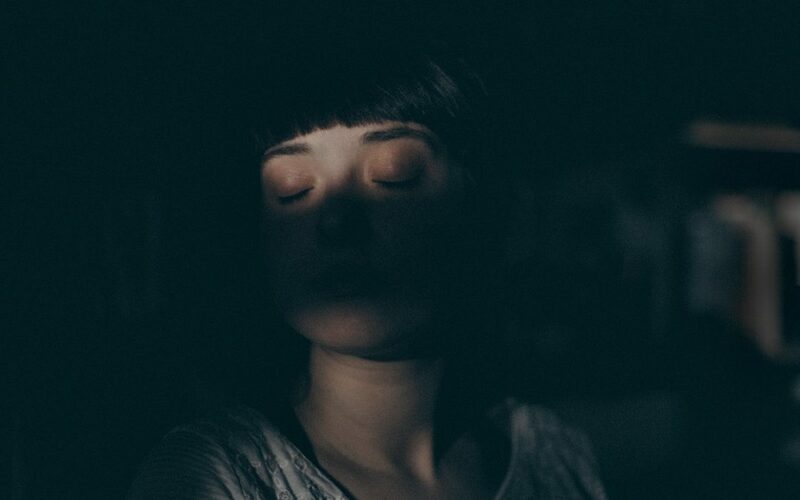 In this article however, I’ll list a handful of effective ways of relaxing and switching your brain of at night, some unusual methods which you’ve probably never heard of while others more common and widespread. The body scan technique is one of my favorite ways of consciously finding obvious and subtle tensions in the body and dissolving them through awareness and understanding. We as living beings all carry within us tensions, some more than others. Some are so deep rooted and subtle which you don’t even notice. When you lie down and scan your body through your minds eye, you’ll find more than enough spots to focus and heal through your meditative eye. Lie down on your bed. (on your back) and make yourself comfortable plus make sure there aren’t any disturbing noises or lights around you. Close your eyes and feel the weight of your body. Also pay attention to the sensation of breathing in and out. Begin then focusing your attention on your toes and feet. If there is any tense spots there, simply be aware of them and try to let those energies go. Turn your attention towards your lower legs, your shins and calves. Do the same there. Move your minds eye upward to your thighs, private parts and buttocks. Same here. Now to the lower back and then to the stomach. Do the same here but take extra time with scanning and relaxing the stomach as that is often the place where stress is actually located. Upper back and chest and torso. Scan every fiber and tendon. Look for the tense spots. Now to your shoulders. Same here. Arms > biceps > triceps. Be aware. Elbow > forearms. Same here. Wrist > hands > fingers. Slowly direct your attention through your arms, back and chest, up to your upper chest area. Now focus on your shoulders and neck, these are the parts that often carry most stress and tension. Attend your minds eye to your head and face (lips > chin > teeth > nose > eyes > temples > eyebrows > ears > forehead and what have you). Make sure you take some extra time here just like you did with your stomach, as the face is probably the place where you hold the most tension. Move now to your scalp, top part, sides and lastly the back of the head. Now take a moment to look at your whole body. Briefly visit all those spots you scanned earlier. Simply quickly go through them, track your scanning back to your toes. And then up again to your scalp. This thorough relaxation technique and exercise should have definitely provided with some deep relaxations in your body but also your mind. The more you do this, like most other things, the better you get at it. Doing this right before sleep could do wonders for you. You can stretch beside your bed or on your bed, I actually prefer the latter as I have one side of my bed aligned next to a wall I can easily just put up my feet in order perform different stretching positions. Some of these have formal names in yoga, which we went through when discussing yoga techniques and poses for better sleep. Kneel down on your bed by sitting on your heels. Place your forehead on the surface of the bed and lay your hands either in front of you palms down or at your sides palms up. Facial massage can do wonders to relax the body and mind. We carry a lot of tensions and intentions in and around our face/head area. An effective face massage can relieve these “stress hotspots” significantly. Have a look at our article concerning how to relax the facial muscles where we guide you through a face massage. Here’s another great technique that works great with all of the mentioned ones. Progressive muscle relaxation is a powerful way of inducing full body relaxation so that you can’t help but to fall asleep. That is of course if your psychological mind and thoughts aren’t too stubborn. This relaxation technique is quite similar to the body scan technique as it involves scanning the whole body. The key difference between PMR and BS is that with PMR you are actively tightening up the muscles in different parts of your body and then gently releasing the tension. Counting the hair follicles on your head (works also if you’re bald, imagination is key!) is a innovative way of relaxing and priming the brain for sleep, especially if you have had a lot on your mind during the day. I came up with this technique spontaneously and it has worked well when other techniques failed. Lay down on your back on your bed. Turn your attention to your scalp. Start increasing scalp sensitivity by placing both your hands on the top of your head and massage it gently for 10-20 seconds with your fingertips. Stop the massage and place then your left hand on your tummy and your right hand on top of your heart in a resting position. Attempt now to start counting each individual hair follicle individually by sensation and thought alone. Do this until you doze off into the night. Awareness of breath is one of the great ways of meditation. It so simple yet so powerful. When you observe your breath, you can’t help but fall into a harmony with the natural workings of your body in all its glorious complexity. The blood flowing, the senses, the breathing apparatus, the muscles twitching and what have you. Awareness of breath is definitely an effective way of switching your brain off and thus decreasing stress and anxiety before sleep but also life in general. Lie on your back and make yourself supremely comfortable. Place then both your hands on your tummy on top of each other. First and foremost become aware of your lungs and how they expand and contract. Proceed by directing your full attention to your nose and be aware of the sensation of breathing in and out. You can take extra notice to the hair follicles inside your nostrils to really maximize your sensitivity. Do this for a while and then change your focus to your belly. Feel the rising and falling of your lungs and stomach with both your hands. Just be aware of that powerful process that you couldn’t not live without for more than a couple minutes. Appreciation and gratitude for life itself is a beautiful, beautiful thing and it can help you, whether you know it or not, to relax into life more fully. Let your awareness rest now. You can be aware of both your nose and your belly and the channel that binds them two into one integrated apparatus. Be present and just listen to the seasonal tides of your breathing. Music can do a lot when it comes to achieving a state of tranquility and contentment. When it comes to relaxation and sleep induction there are some sounds that do this better than others. Ambient sounds or tracks with a deep beat that mimicks the sounds of our heartbeats are generally great for this intent and purpose, for one with proven relaxation effects try listening to this ambient track by Marconi Union’s Weightless or this Space Ambient Music. Relaxing music is generally soothing but for some awareness of breath can be quite a challenge as they are constantly distracted by their own pecking thoughts, plans and projections about life. Guided meditations can help in this scenario by leading your mind into a state of calm and serenity. Depending on who you are and what interests you’ve got, you may or may not heard of the spiritual figure called Mooji. He is a non-dual master whose wisdom can help guide the restless, agitated ego-mind back to its source where it can rest in its source. If that sounds to esoteric or spiritual to you, that’s fine. We just thought that it could be worth it to mention his guided meditations available on Youtube. If the techniques above for some reason didn’t work for you, you should definitely try yoga nidra. Yoga nidra is an ancient technique developed by the yogis of India to align the mind with the physical right before bedtime. They realized how unstable and capricious our thoughts can be so they developed powerful mental techniques of dealing with that. As you’ve just witnessed there are many ways of inducing relaxation right before bedtime. If these didn’t really do much for you, which I highly doubt, I mean something has to have happened after these incredibly relaxing techniques. Nonetheless if you’re still looking for more ways of getting a better night of sleep, here are some suggestions. You could try these yoga poses and breathing techniques, home décor ideas, meditative tips or why not these sleep products.